Little Shop of Stories makes sure to have a book club fit for any reader that walks through their doors. From book clubs for adult readers of young adult books, male readers, middle school girls, or kids with their parents, Little Shop of Stories prides themselves on finding the right book to make life-long readers. A favorite event, Thursday story-time, complete with milk, cookies, and an invitation to wear your pajamas makes an evening at Little Shop of Stories special for any young kid and is sure to make kids eager to come again to Tuesday and Sunday story-time. Diane always has a few favorite books to recommend for a child looking for a new book, a family searching for a book they can read together, or a hesitant reader. 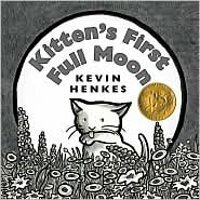 “My favorite picture book is Kitten's First Full Moon, by Kevin Henkes. It is a book that was very special to me and my daughter when she was younger, and I love to share it with new families.